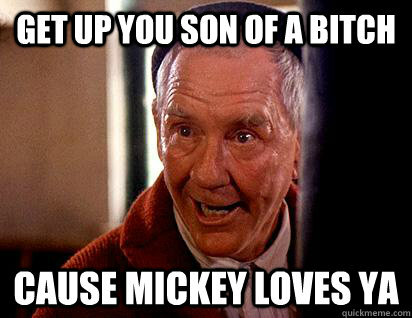 Mickey: You’re gonna eat lightnin’ and you’re gonna crap thunder! Of course he had another role which he is also remembered for in which he also wore a distinctive hat. Previous Post The Disinclined Purveyor of Sequential Art – Chapter 21.